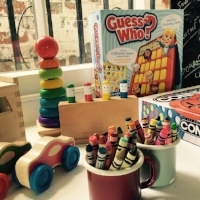 The River View Cafe loves having children come to visit, so much so, we have taken over the unit next door, filled it with toys and created a place where you can bring your children, enjoy lunch, while you’re children play. We also have plenty of highchairs and a playhouse outside on our river view terrace. The Little River View Cafe is available to book for private sessions. For more info call us on 07956 556642.